There are several types of lizard pets available for sale at most pet stores which can make deciding which is the best for you a difficult decision. You will need to keep in mind how much money you have to spend, how much room you have available, and how long you are willing to care for the pet. Of the several species available, I have chosen my three personal favorites which are easy to care for, enjoy being handled, and have affordable starter and upkeep costs. Pros: Beardies are a very hardy and well-tempered lizard that grows to a comfortable handling size. The desert environment they need to survive is fairly easy to create and maintain when compared to other lizards who require moist conditions. Cons: As juveniles, this lizard’s appetite can get quite expensive, as they need insects to be offered daily. UV lighting is required and bulbs need to be replaced a couple times a year, adding to costs. Beardies also require a 55 gallon enclosure at minimum to live happily, which takes up a lot of space. 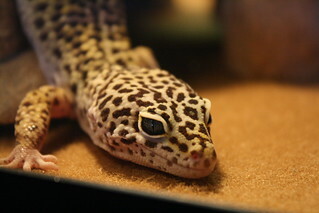 Pros: Geckos can be housed comfortably in a 20 gallon tank, requiring little space and expense. They don’t need UV lighting and require less heat than a beardie or uromastyx. They only eat insects so you wont need to fuss with cutting vegetables daily and save a bit on the food bill. Cons: Geckos have very few cons, but they are nocturnal, so they aren’t very active during the day. They are also fairly small and squirmy compared to a larger lizard, so handling can be risky. 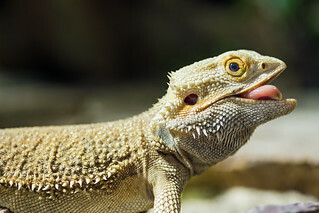 Pros: Uro’s are very docile lizards that are very similar to bearded dragons. They seem to enjoy human interaction and are fairly hardy. These critters are very active during the daytime, often throwing their veggies around to make a nice mess for us. Cons: Much like the beardie, uro’s need a large enclosure and UV lighting. Mali uromastyx also need extremely high temperatures around 120F. These lizards can live up to 30 years, so be ready for a long-term commitment if you decide a mali uro is for you. All three of these types of lizard pets are great for beginners. Which suits you best will mostly depend on how much room you have available, and how much money you are willing to invest. Beardies and Uro’s are the best for handling, but cost more than a gecko to start-up and maintain. 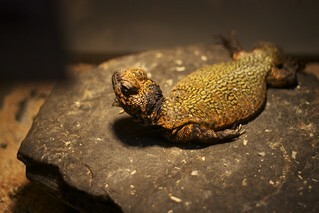 Gecko’s and bearded dragons live around 10 years, whereas a mali uromastyx can live up to 30. This could make them a poor choice for a child who will most likely be moving from Mom and Dad’s to go to college or start their own family in the near future. Keep these things in mind so that you don’t regret your purchase, or end up having to give your pet away because they cost too much, or because they don’t fit in with your lifestyle.